Autumn has come to New York and the tattoos have all but disappeared. Despair not, oh readers of this blog, there is hope. To the woman I met outside of Rite Aid with the rose tattoo on her ankle that she said din't mean anything, I'm curious to hear about the tattoo on your arm, hidden last Sunday, which you want to get removed. You said there's a good story behind it. Please e-mail me. To the woman at Duane Reade in Penn Station who sold me the Advil Cold & Sinus, I hope you're reading this and will participate in Tattoosday so I can get the story (and photo) of the ink on your wrist. Alas, we fired a woman today at work who I had hoped to ask about the tattoo on her leg. My friend at Starbucks with the pine trees on her arm, commemorating her homesickness for Michigan, has transferred to a different location, unknown to me. There are two co-workers who are prepared to offer me their tattoos for the blog. Patience, dear readers, and tomorrow is Halloween and it's supposed to be warmer. I also have a New York Marathon post planned for next Sunday. 30,000+ runners will be zipping by me at the corner of 92nd Street and 4th Avenue in Brooklyn. How many tattoos will I capture? I will leave you today with a pre-Halloween shot, a candid I snapped on the streets of Manhattan back in August, when I was a timid Tattoosday blogger. I don't know the story. I don't know anything, except that it's a pretty cool black tattoo. At the beginning of the week, Summer was still clinging to the Northeast, which meant that there were still tattoos to be spotted out in the sunshine. Monday afternoon, I noticed a woman in the plaza outside of Borders with a cool ring of flames and a lion tattooed around her ankle. When I approached her about it, she was kind of down on the piece, saying the guy who did it out in Huntington, NY overcharged her and messed it up. It still looked pretty cool to me. She also showed me her first tattoo, a star in a circle, on her lower back. She gave her name as "Marla," which she acknowledged wasn't her real name. She slipped later and said what her real name was, but I will honor her desire to be anonymously misidentified. Marla had her piece inked by Cheryl at Ink Alternative in Ronkonkoma, NY. She spoke nothing but praise about the shop. Marla was thrilled to not only let me photograph her tattoo, but was excited when I showed it back to her on my camera as she hadn't seen it in a while. Marla said she had the tattoo done after getting through a hard time and that it represented "a new awakening". The symbolism of the sun and the tears represented the moving on from the difficulty she had just gone through. Thanks to Marla for sharing this cool design with the Tattoosday community! Thanks also to Stacey Sharp, another artist at Ink Alternative, for identifying for me the artist who inked Marla's neck. Update 7/27/2009: Stacey is now at Inkpulsive Custom Tattoos. Last week, in front of Madison Square Garden, I met a guy named Mike who had several tattoos. I have found the most success with people in this area because, generally, people are loitering in the fresh air while waiting to head into Penn Station and catch a train. That's what Mike was doing and I must give him kudos not only for being open to talking with me, but for proudly showing me all of his tattoos (5 in all) and for being forthcoming about his life, more than others may have been. This piece was designed and inked by an artist in Miami at a shop called Art Attack, which is now known as Merlin's Tattoo. Mike's ex-fiancee's pet name was "Jellybean," because, he said, "she was sweet". The name was merged with the express train logo by the artist. Mike was a first for Tattoosday, as when I asked him what shop his tattoos came from, he hesitated briefly, but then stated matter-of-factly, "State Penitentiary". So, four of his tattoos were credited to an incarcerated artist named "Kenny V." I must say, in my opinion, considering that these were not done in a shop, per se, the work is superb. What was particularly cool about this dragon was that its rudimentary spine-like body wrapped around Mike's arm from the biceps down toward the wrist. It's hard to really capture the effect, but I did the best that I could. and below the wolf was a row of paw prints, wrapping around his arm. Each paw print, Mike said, was a tribute to a friend in the penitentiary. Thanks to Mike for sharing his tattoos and helping display them here for Tattoosday. Walking down 7th Avenue on Friday, October 19, I spotted a sleeved arm approaching, Sorry, it was a couple. Man and a woman, young, in their mid to late 20's...(apologies if you are reading this and are younger). Behold, the guy was game for talking tattoos. In fact, Jörgen Wiklund, visiting from Sweden, was extremely cool and patiently indulged me as I tried to write down names in his native tongue. Jörgen characterized all his tattoos as whimsical, fun, spur of the moment decisions. 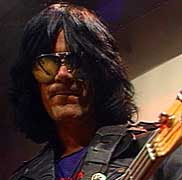 This is a tattoo representing Dee Dee Ramone, as a duck. He elaborated that his girlfriend had a duck-like haircut and earned the nickname "Ducky," so this piece was a tribute to her. The Ducky Ramone was inked at Evil Eye Tattoo in Stockholm. 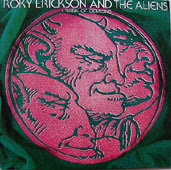 When I asked who Roky Erickson was, thinking he was perhaps a Swedish musician, he enlightened me, saying he was from Texas and that he was "the greatest musician that ever lived." When he asked if I had heard of the 13th Floor Elevators, I said sure (one song on my BilliPod, "You're Gonna Miss Me," from the High Fidelity soundtrack. You can hear the song here, streaming on Erickson's website. The whole demon motif ties into the storied history of Erickson and his past with drug use, electro-shock therapy, and mental illness. Jörgen had this tattoo done in his home town of Härnösand, in northern Sweden, at a shop called Paul's Custom Tattooing. Jörgen was a real treat to meet. He and his girlfriend (who is tattoo-less) are/were in town for a week. I suggested she get her first tattoo in New York to commemorate her trip here. The were both good sports and I want to thank Jörgen and his significant other for their participation in Tattoosday and the contribution of the first international contribution to the blog. I think that what makes Tattoosday successful are all the interesting, unusual, pieces that most people walk by, see, and wonder, "What the heck is that tattoo all about?" 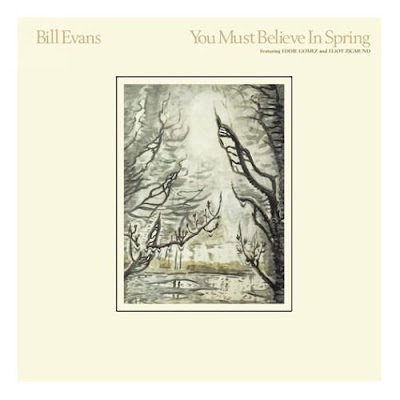 Clarence, the possessor of the tattoo, had this representational tattoo inked in honor of Bill Evans' 1980 album You Must Believe in Spring. The piece was tattooed at New York Adorned. I would have delved further into why this album was so important to him that he had it tattooed onto his arm, but the person he was waiting for came out with his coffee, and his dog started barking at other dogs, so I figured I wouldn't bother him anymore. as to the significance of this record. Remember the Hawaiian Tattoo in Brooklyn (read post here)? Here's a related article about Hawaiian arm tattoos. I walked up (after dodging a few commuters passing through the mall) and asked him if I could talk to him about his tattoo. He gestured to the empty chair opposite him and started chatting. The majority of the piece was done by Scott, who used to work at Dare Devil Tattoo on Ludlow Street. The bolts were inked in later at Venus Modern Body Arts on East 4th. I asked him about any other tattoos. He briefly flashed one on his upper left shoulder that he got when he was younger. He indicated that he was thinking of having it removed/covering it up and incorporating it into a themed piece spanning his back and connecting to the other sleeve. I assumed it to fit in with the sci fi theme, but he also indicated it referred to his band. Oh? What band? 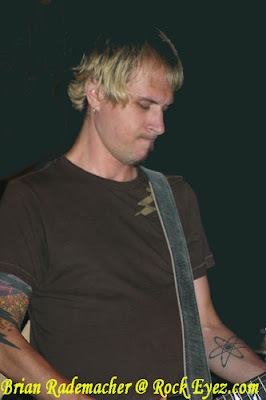 He is in a band called Atom Strange. 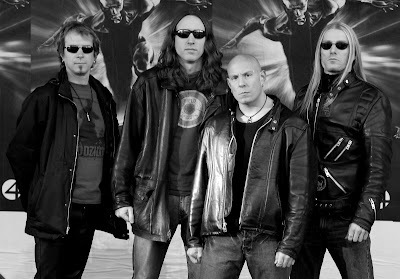 He's the guy on the far left. I later learned he was the guitarist. "What kinds of music do you like?" Alex asked. I told him I liked pretty much everything that I used to say I liked everything but country, but then I discovered Lucinda Williams. He nodded in agreement. "Lucinda Williams is great," he added. 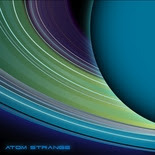 He reached into a bag and handed me Atom Strange's CD. The theme matched his tattoo. You can order the CD here. I''ll be reviewing it in the near future over on BillyBlog. I have listened to the CD once through and I like it, but will give it some more attention before writing about it in detail. Alex said that some people compare them to early Stone Temple Pilots. I certainly see (and hear) why. Anyway, thanks much to Alex for letting me interrupt his breakfast and paper on Thursday morning. You can hear samples and see the band profile on their MySpace page. I reviewed the CD over on BillyBlog here. Autumn has come to New York City, making the mission of Tattoosday slightly more difficult. Cold weather sends tattoos scurrying under longer sleeves and lengthening hem lines. Actually, I only spotted the tail feathers of the phoenix dropping below the short-sleeved left arm of a New Yorker named Dave Sperandeo. Dave said that the phoenix, which is a more common tattoo subject, represents his starting over after a divorce. This nice piece was inked by Peter at Peter & Cubo's Tattoing & Body Piercing in Ozone Park, Queens. As you may have guessed by the bulldog with the fire hose, Dave is a New York City fireman. He had this inked five years ago when he graduated from the academy and became a member of the FDNY. I especially like the nice touch of the three blue water droplets at the end of the hose. This one was tattooed by Cubo at the same shop in Ozone Park mentioned above. Thanks again to Dave for offering up his ink and keeping Summer alive for Tattoosday for a little bit longer! Vicki was under the impression that this meant "the Path to Enlightenment". She also told me that the tattoo meant nothing to her and that she was considering having it removed. If she reads this post, her feelings may become even stronger. I hesitated before posting this, but because she was so down on this piece, I figured, if anything, I'd be doing her a favor. This Chinese characters do not reflect what she understands the tattoo to mean. From the top down, the first element is the triad of dashes on the upper right. These three strokes represent the number three. The large character at the top of the tattoo caused some consternation among my co-workers who are fluent in Chinese that I showed this to. One couldn't identify it at all and the other said that it most closely resembles the kanji meaning "look" or "see". The bottom character was easily identified by those I showed the picture to. The character on the right in the illustration above matches the bottom character in the tattoo. It is the character for "cow". 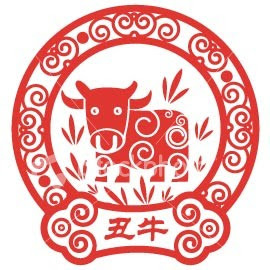 I am now theorizing that the top character is a distortion of the word "year" and that Vicki's tattoo represents the astrological year of the cow, or the ox, denoting people born in 1997, 1985, 1973, 1961, 1949, 1937, 1925, 1913, or 1901. Although she mentioned she was 27, which would have put her birthday in 1980. Hmmm. The alternative, that it is just gibberish, "three look cow," is also a possibility. She did say that she found the kanji in a cartoon in a philosophy textbook. Regardless, it certainly makes the tattoo more interesting. Vicki, if you wish me to remove this post, please e-mail me. I did not create this follow-up mean-spiritedly, but merely as a further exploration of your tattoo. There's a whole site called Hanzi Smatter that analyzes "the misuse of Chinese characters in Western culture." They display some tattoo examples that illustrate that bad ink happens quite often, especially when tattooing using foreign words and characters. My advice, when getting a tattoo of this nature, would be to go to at least two, if not three, opinions from independent, unrelated authorities of the language, before permanently inking a non-English piece. Hell, some people have a hard time with English! Check out this story from earlier this year in Chicago. Or this story from 6 years ago. It is my practice, when someone is heavily inked, and they've agreed to let me take a picture, to ask them to offer up the piece that means the most to them. John described this "biomechanical" design as a shield that keeps his demons locked inside. The tribal symbol is an anchor that keeps him grounded. He was very open and acknowledged that he had anger management issues. The tattoo gives him strength to control those issues. 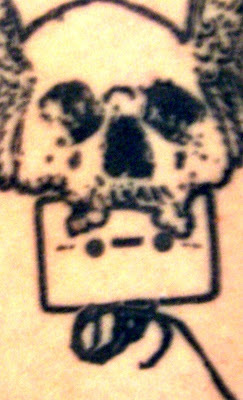 This tattoo is one of 15 that John has. It was inked by High Roller Tattoo, in Hicksville on Long Island, NY. After thanking John, I asked the woman standing next to him if she had any tattoos she wanted to share. She did. Donna has two kanji characters on her lower back that I wasn't able to get complete photographs of. I asked her to, at her convenience, send me better pictures, if she was interested in joining these pages. She said the kanji meant a lot to her, so I am interested in finding out why. Thanks John, again, for your participation. Here's hoping Donna will e-mail me about her tattoos. The tattoo reads, in Hawaiian, "e ola aui ke Akua". I'm not fluent, but I know the Hawaiian language when I see it. I had to speak to this person and find out what possessed this person to inscribe these words on their flesh. The woman is Danielle Tay, and the tattoo is a tribute to her Hawaiian heritage. Her paternal grandfather is Hawaiian, her father was half-Hawaiian, or one hapa-Haole, as we would say it in the islands. Danielle is therefore a quarter Hawaiian, by birth, and despite being a Brooklynite, feels connected just the same. "Uh," I asked, "Can you tell me what that means?" Danielle believes it to loosely mean "May God grant me Life". This was inked at Funcity Tattoo in the East Village. Danielle, thanks for letting me take your tattoo's picture. I lost your e-mail address, however. Please shoot me an e-mail if you're reading this....I have some additional questions for you. "E ola au i ke Akua" means "I live in the Lord" or "I live because of the Lord". There's some flexibility in translation, but that's the gist, I think. It's OK, although the "aui" should be split into "au i". 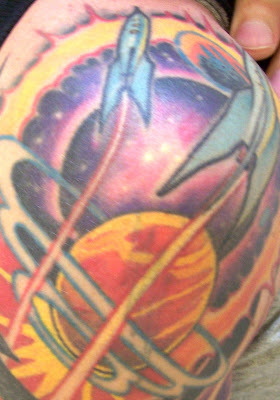 I spotted this tattoo on the left arm of a guy hanging out in Starbucks on Monday, October 8. I was doing some laundry, and saw him smoking a cigarette a little later outside the store. I went up and introduced myself and Tattoosday. The owner of this tattoo is Steven. He refers to it as "D.A.," which stands for Devil Angel. She was inked around 1998 at Studio Enigma on Avenue U in Brooklyn. The artist was a guy named Michael, who is no longer listed with the shop. Steven said the tattoo is based on a design that was on the wall of the shop and, like many tattoos, a few adjustments were made, and this was the final product. There was really no inspiration behind this particular design, there's no real life person behind the Devil-Angel persona. This tattoo is showing some age, but it still is a nice piece that was intriguing to see peeking out from Starbucks. Thanks to Steven for sharing D.A. with all of us here at Tattoosday. Jay swears by the artists at Brooklyn Ink. 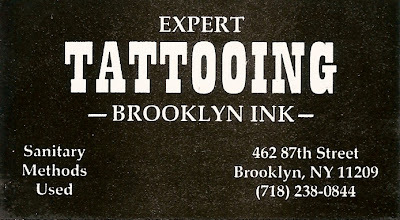 The work of Brooklyn Ink has appeared previously here. He credited the sleeve to the artist Alex Franklin. Because I interrupted Jay while he was shopping, we didn't have the luxury to chat at length. However, he did discuss two elements.....the word "Vegan" is prominent at the top and the bottom of the sleeve. That's self-explanatory: Jay is a vegan. The "X X X" aspect of the tattoo also refers to the fact that Jay is also drug and alcohol-free. There may be more to that, but the triple X referred to a straight-edged lifestyle. I hope to catch Jay again in the future, so I can update this post and, hopefully, snap some shots of his leg work. Thanks, Jay, for your cooperation with the Tattoosday project! On Monday, I had the day off and hit J.J. Carty Park with the kids, where we ran into one of the girls' camp friends and her father. Jolee (ever the model of subtlety): Is that a tattoo? Jolee (see parenthesis above): Dad, you should tell him about your blog! The rest is history, I guess. I gave Marc a printout to check out the site while I ran off and played ball with the tomboy. By the end of the day, I asked him if he wanted to be on Tattoosday. "Sure," he shrugged, "why not?" He lowered a sock on his left leg to show me the tattoo he had done when he was going to marry his wife, Marina. "I wanted to show my commitment to her," Marc said. Marc credited these two tattoos (of three in all) to a friend with whom he lost touch named Maya (sp?). She did both pieces free-hand. Thanks to Marc for his participation on Tattoosday! You can check out his website here. The next piece featured here is a first for Tattoosday: a tattoo that its owner no longer wants. When I first approached her, she thought I was going to give her information on tattoo removal. Vicki got this piece about 7 years ago when she was 20, at Butch's Tattoo Studio in Keyport, NJ. She indicated that the symbols were part of a cartoon in a philosophy book and represented "the path to enlightenment". 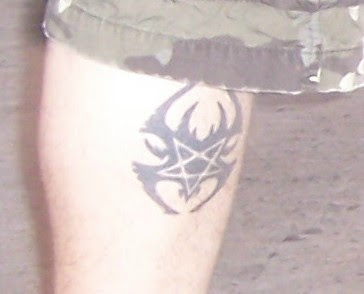 Vicki, however, stated that she is a Christian and has come to dislike the tattoo to the point of wanting to have it removed. It doesn't mean anything to her anymore. She added that she probably would have started the process, but for the cost. I mentioned to her the story of Tracy's tattoo, and suggested that she check with different tattoo artists to see if they would be able to design and ink a cover-up piece. That would be a) cheaper and b) more meaningful if a cover up could be designed to more accurately reflect who she is today. She nodded and said she had considered that, as the bottom of the symbols closely resembled a cross. I was initially surprised that Vicki was willing to participate, considering how she felt about the tattoo, but she was a great sport about it and I wish her the best of luck with the piece, whether it be removal or transformation. I know that some artists don't like to do cover ups as a professional and/or artistic courtesy, but that is in my opinion a better option and, from what I've heard, a cheaper and less painful one as well. Here are some other Buddhism-inspired tattoos. Thanks Vicki, I truly appreciated your contribution to Tattoosday! p.s. On an unrelated, yet similar note, read what Charlie Sheen is considering doing with his 13 tattoos here. I couldn't help it. I had to stop and ask her what the story was. Butterflies are pretty common as tattoo matter, but this was the most unusual and stunning one I had seen. This butterfly is unique in that she designed it herself and then worked with the tattoo artist in Nyack over a three month period to perfect the design. The butterfly body consists of the symbol for infinity, which I thought was a cool touch to represent the eternal. She was totally open to me taking closer shots of each of the four quadrants of the wings, each of which was a slightly different size, by design, so that no two aspects of her life were the same. Renata is originally from Brazil, and the two bottom sections have ocean elements because she grew up in São Paulo, near the sea. The left and right bottom sections each bear the first initials of her parents, M & A. The top sections are beautifully-rendered representations of the sun and the moon, completing the worldly representations in the wings of the butterfly. Thanks to Renata for her time as she explained this marvelous tattoo to me. I gave her my e-mail address so she can send me the information on the artist, so he can get credit for this lovely piece of body art. On a recent trek to Starbucks at 31st and 7th Avenue, I saw someone sitting at the table lining the window. I thought to myself, "Hmmm... She looks she would have tattoos....". This is just the way I think. However, there was no visible ink on this person. After grabbing my venti sugar-free cinnamon dulce (with room) Americano, I headed over and introduced myself. The possessor of the skull tattoo was is Vanessa, a student at SUNY Purchase. The tattoo above was Vanessa's first, and originated from her being fond of cassette tapes, a characteristic her friends tease her about. She loves mix tapes. I asked if she had read Love is a Mix Tape: Life and Loss, One Song at a Time by Rob Sheffield, which is a love song to the mix tape. She had. This piece was inked by Adam, owner of Adambomb Gallerie, in Milwaukee, Wisconsin. Seems pretty simple, yet Vanessa insisted that this basic tattoo had great meaning for her. 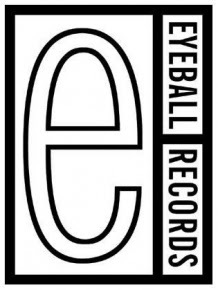 It's the logo from Eyeball Records in New Jersey. Eyeball has a lot of indie bands, including a band with one of the coolest names I have heard in a while, The Number Twelve Looks Like You. Eyeball records, according to Vanessa, changed her life, which is why she paid tribute to it with the logo on her arm. Thanks to Vanessa for her contribution to Tattoosday! The last of the 3rd Avenue Festival tattoos belongs to Tracy, who boasted a beautiful floral piece on the left side of her back. It's a bright, colorful tattoo that definitely catches one's eye. This was inked about five years ago by Peter at Body Art Studios, whose work appeared previously here on Tattoosday, and can also be seen at the bottom of the page in the form of the cherub playing the green guitar. What makes this piece particularly interesting is that it is a cover up, the first to appear (as far as I know) on Tattoosday. When Tracey was 17, she got a wizard tattooed on her back. At first glance, you really couldn't tell and, one might argue, if she didn't disclose it was a cover up, it might not be even remotely visible. As it is, I think I see where the wizard was. Tracy said that the tattoo was very similar to that of a woman she knew who had survived breast cancer. She had some scarring, and had a similar tattoo, which Tracey admired. This piece was inspired by this woman, and carries with it an extra meaning, as a result. Seems appropriate, then, that this post was written and posted on Lee National Denim Day, one of the nation's largest fund raisers for the Susan G. Komen for the Cure fund. Thanks to Tracy for sharing this beautiful tattoo! So that wraps up the Third Avenue Festival tattoo onslaught. Stay tuned as I have two more tattooed volunteers in the pipeline, and it's unseasonably warm here in New York as the weekend approaches. I really hit my stride on Sunday when I approached a group of young guys hanging out at the street fair in front of the Rite Aid at 93rd and 3rd. No offense guys, if you're reading this, but I most likely would have passed you up as possible Tattoosday subjects had it been any other setting. These guys were young, in the early twenties, and looked pretty tough. The mass of ink added to their hard edges. I approached one of them and started explaining myself, but he seemed very reluctant. However, his friends joined in the discussion and, before I knew it, two of them had allowed me take some pictures and post them here. The large cross is a tribute to his friends Rob and Frank. He then showed me the tattoo on his left arm which was a tribute to the same guys and to a third friend, Smokey, who he called his guardian angels. It's hard to tell from the picture, but there are three angels are around the edge of the piece (only the one at the top is visible). Lastly, he showed me this free-hand graffiti-like piece, which spells out his last name, Candela, which is the Spanish word for candle, which represents flames, and merged with the fiery border design produces a nice effect. John credited the work to an artist named "Steve the Butcher," who free-lances out of his house, and is not affiliated with any shop. I did not ask, as he did not offer, what happened to Smokey, Rob and Frank that caused them to die at such an early age. Had he wanted me to know, I'm sure he would have told me. The other tattoo I captured belonged to Jaimie, who I think had one of the coolest pieces of the day. It's actually one piece that wrapped around his left forearm. I generally avoid tattoos that wrap around because it is hard to capture the essence of the piece in photographs. The message is "Brooklyn, born and raised." The Brooklyn Bridge is represented, along with the Statue of Liberty. The best part of the piece, however, is the "and" represented by the letter N of the N train (on wich I am currently riding as I type this up). The N express services a big chunk of Brooklyn (as well as Manhattan and Queens). The "raised" is inked like graffiti on the N train, completing a sweet Brooklyn-themed tribute to the borough in which Tattoosday is based. Jaimie credited this awesome tattoo to Angel at Hypnotic Designs in Sunset Park. A hearty thanks to Jaimie and John for their participation in Tattoosday!